With the D.C. area's horrible traffic, it's something a lot of us have thought: "Why can't I just hit a button and have the car drive for me?" Self-driving cars might not be as far away as you'd think, technology experts say -- it could happen in as little as two years. On Monday, the cars faced one of their most rigorous tests yet: the Interstate 95 Express Lanes in Northern Virginia, as the Virginia Tech Transportation Institute (VTTI) demonstrated its automated vehicle technology. It marked the first time that driverless technology this advanced has been tested on an actual highway. But in only two years, you might be able to take your hands off the wheel and feet off the brakes yourself. 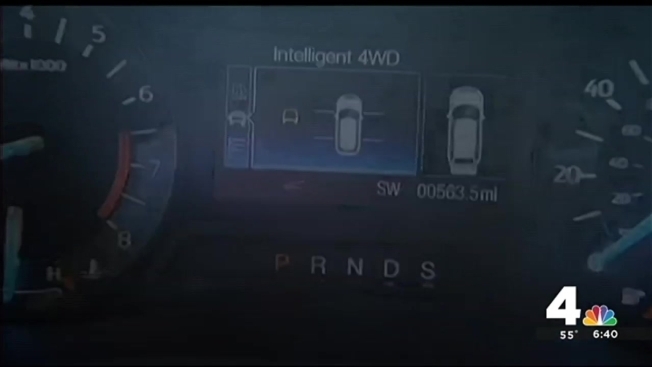 Even if other cars don't have this kind of technology, automated cars will react to slow down or speed up. "...[I]t's just a matter of time," said Tom Dingus, director of the VTTI. "The only question is how much time and what level of automation." On Monday, demonstrations featured an automation system that performs specific driving tasks, such as changing lanes and braking, with a driver ready to intervene as needed. The demo was carefully controlled. Tests occurred at midday, during the regular midday reversal of the Express Lanes. The lanes were otherwise empty. The technology doesn't yet allow a driver to completely check out. A driver must remain behind the wheel, but the specially modified Cadillac SRX conducted lane changes on its own and adjusted speeds to account for simulated traffic and construction zones. "On the highway, you'll be hands off the wheel, feet off the pedals," Dingus said. "You still have to watch in case something goes wrong, but you can sit there and relax." Another significant safety feature will look out for roadside workers if they're wearing special vests. Cars can connect to sensors on the vests to get alerts when driving toward a work zone. If a road worker is too close to a lane of traffic, the car can respond by moving over. The cars can also talk to emergency vehicles and move over to protect a police cruiser stopped on the side of the road. "I'll make a prediction today," Virginia Sen. Mark Warner said after Monday's demo. "Automated systems -- whether they are aerial, driving or maritime -- will be as disruptive and transformative over the next decade to our lives as the wireless revolution was 30 plus years ago." Automated functions like those tested Monday are only be possible on highways, not in local traffic just yet.